Janie wrote the following in 2009 about Armour, and wouldn’t you know, 2015 sees another problem with Armour! In 2002, when I first got on natural desiccated thyroid and it absolutely changed my life, it happened to be the brand name called Armour by Forest Pharmaceuticals. You could do it sublingually (even if it wasn’t made that way), and I praised Armour for that. So did other patients after we spread the word on patient groups, on the STTM website and in the Stop the Thyroid Madness book. My fondness for Armour did not take away my praises for other prescription brands, though, including Naturethroid or Westhroid by RLC Labs. I simply made a doe-eyed commitment to Armour for my personal treatment because you could do it sublingually. 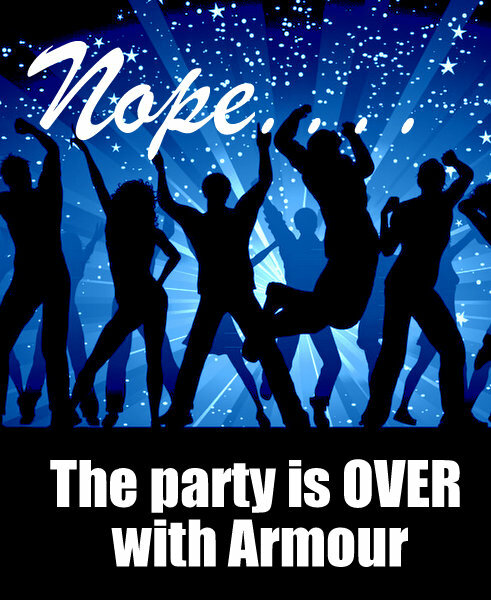 I have also used the name “Armour” interchangeably to represent all good desiccated thyroid products. But because of a succession of three events, I think it’s time to give back my going-steady ring. The first blow to my romance with Armour centered around the extreme tight-lipped secrecy from Forest when the reformulation of Armour began. We can surmise the trouble begin in 2007 when patients were finding Armour in the larger sizes to be suddenly ineffective. For the entire year of 2008, supplies were extremely limited and only the one grain size or lower could be found, if at all. Patients were worried and unhappy. I even supported Forest in my blog posts, assuring patients that everything would be fine. But Forest said practically nothing. Why was and is Forest mum about why this was happening ? The second blow to our courtship was the change to the “reformulated” Armour. Suddenly, patients find that doing Armour sublingually was a thing of the past. Now all we get is a never-ending chalky pasty residue under our tongues. Additionally, many patients have been reporting that the amount of Armour that once removed all symptoms, was now bringing them back. Huh?? In spite of an apparent drawback in some batches in 2007, why would Forest take an effective product and change it? And the third and final straw to my affair of the heart? I made a phone call to Forest using the same 800 number you all can use. That was Tuesday, May 5th. My intent was to ask about the word anhydrous which is now after the ingredient dextrose in the Armour ingredients listing. (It means that all moisture has been withdrawn, but I wanted to confirm the details for the brands page.) When I reached the representative for Forest, and after she asked my name and I gave it (oops), the tune of the conversation changed. She said she could not answer my question since I own a public website, and would have to inform the “Media group” from Forest, and they would call me back. When I asked when, the answer was a vague as Synthroid is in treating hypothyroidism i.e. she didn’t know. I even called back the next day to get the same dribble. Why have representatives on the Forest hotline been instructed not to answer a simple question from someone like myself, and I still have not received a phone call from Forest? Yup, breaking up is hard to do, but a gal can only take so much strange betrayal, tight-lipped silence…and ignoring a simple question from someone who has done a LOT to put money in their pockets out of extreme gratitude. Thank goodness there are other fish in the sea. Has anyone thought that maaaaybe the big pharmaceutical companies are trying to ban the natural thyroids so they have a monopoly???? In early 2008 I was doing so well on Armour Thyroid that for the 1st time in many years (since Proloid) I was able to throw away the many drugs I was on for the many chronic hypothyroid symptoms that both Levoxyl AND Synthroid (and probably levothyroxin) had caused despite my taking the drugs properly and diligently. Then in the summer of 2008 my good life reversed and I have not been able to get stable regardless of all my efforts. I am now forced to go back to Levothyroxin until I can (hopefully) get an Rx for Efra, the Armour equivalent, from Canada. This is terribly devastating to persons like me born without a thyroid and we ALL need the hormones T1 and T2 and calcitonin which NONE of the synthetics have. So I am making a complaint to the FDA against Forest Pharamaceuticals for this formulary disaster and trust me folks they know what they have done. Got a bottle of 500 tabs, 1 grain, from Erfa at the end of last summer, $100 delivered to US. Erfa’s 500 tab bottle is now only available special order from inside Canada. Erfa now only offers 100 tab bottles at $39 plus shipping. Wife picked up Thyroid-S on Bangkok tour, $18 for 1000 tab bottles, but still using the opened Erfa bottle. Thanks STTM, with the money saved, we bought the book. Down with the corrupt and dangerously reckless FDA. Would appreciate if anyone has practical experience or historical tech literature with freezing vs refrigeration + desiccant. I began taking Armour in Dec. 08. Apparently my pharmacy had some of the “old” Armour around, because that’s what I took through July 09, and it worked great!! I was thrilled to have a non-synthetic option. Then I received my August refill…The taste was off; chalky instead of what had been sweet on contact. Hhmmmm…I thought, this is different! Well – it was more than the taste that was different!! Steadily my hypothyroid symptoms returned and by mid-Oct. my resting temps. were around 95.5 and only got up to a high of 96.8 the whole month. My limbs felt like they were filled with lead with the slightest bit of exercise. I called my ingerative medicine doctor. I found Thyroid, available through ERFA thyroid in Cananda and my doc wrote a new prescription. It’s supposed to be the same formula as the OLD Armour. It’s on it’s way right now…I’ll let you know how it goes. I didn’t realize there was a reformulated Armour until I was so ill I couldn’t get out of bed. I had my thyroid removed due to a severe case of Hashimotos. My thyroid was literally shrinking around my throat and choking me until I passed out. Of course as usual, like everyone else I was told in was all in my head and I lived like that for 4 years. I finally took matters into my own hands, got on the internet, found out what was wrong, and insisted on Armour. It took almost a year to level out, but I was not passing out anymore. I have literally gone into 3 pharmacys crying, begging and asking for answers. I have been taking the new formulated Armour, swallowing it, throughout the day. I started uping my dose and so far that is working. I got up to 4 grains when on the original Armour I only needed 2. I am now cutting back to 3 as 4 was getting me to jumpy. My therapist was the one that suggested I try to increase my dose. Her and my thyroid Dr. are very worried about this whole Armour situation. No one is telling the truth and my medical Drs. just really don’t know what to do. This is just horrible. I read a lot of these comments and one lady said there was a lot of people that commented that they took their Armour sublingually. I never did. I make sure I don’t do coffee in the morning anymore since it is acidic and could disrupt the Armour in my stomach. That made a difference for me. Well, I wish everyone good luck. Keep posting as we really need each other since western Medicine is so blind do our situation. I have been on .5 Armour for years and had been doing great. I get a 90 day supply at a time. Since the last refill I have had the hypo symtoms return with a vengeance, plus some pretty intense new ones so I thought I needed to have my levels raised. Then when I tried to do a refill I was told by several pharmacies that it was no longer available. I started researching to see what I could do and discovered the reformulations and concluded that I probably didn’t need the raise so much as I needed the old formula-the new one does not work at all for me and I was on it for 3 months while my body was reeling from it. I have a two week supply of naturthroid from my Dr. and am now required to go in for an office visit. Since she only ordered the THS, no frees, this will be a pointless visit unless I can encourage her to write my prescription for Naturthroid. Thank you so much for all the information. This comes directly from Forest Pharmaceuticals per my conversation with them on 09/11/2009 During last year(2008) Forest Pharmaceuticals was working on the reformulation and the newer product was first released and available around March or April of 2009 depending on the grain size. The reformulation was done because of the design decision to update some of the older technology involved in the creation of Armour. I asked him what the changes were made in the new formulation. He stated that the there has been no changes to the active ingredient. The chemical changes that have been made are as follows to the inactive ingredients. I asked if there was any reason why people have been claiming that they have seen their symptoms returning? He answered that no he was unaware of any reason why this would be occurring. I requested if he had any suggestion for alternatives to the Armour? He said that there isn’t really any available dessicated alternative currently for the following reason. There is lack of supply from the distributor of the dessicated Thyroid gland(American Laboratories) they cannot fulfill the current demands due to recent increases in demand on the available supply. Therefore as a result all manufactures of dessicated Thyroid products will have or do have shortages of the active ingredient (dessicated Thyroid gland powder) They are however in the process of trying to increase the available supply to meet the demands. Glad to find a site where people are sharing their knowledge and experiences of natural thyroid medications. I have been taking Armour for 24 years. Started with synthetic versions but was having adverse reactions to them. Tried Armour, what a blessing! For the past 6-9 months I have been having old sensations but never questioned the Armour as being the problem (remember 24 satisfied years). This area of the country has stopped aquiring 90 and currently only get 120 and I was informed tonight the entire product line was ending. Oh no! Didn’t beleive the pharmist so I went to several other pharmacys. I did get the last 23 pills of Armour 90 in the county. So now I too am trying to find another natural medication to replace it. Does anyone know if the Swine flu may be having an affect on the slow down of production? Or do you think this is like OPEC and the companies are going to use the Swine flu so they will be able to say there is a shortage so they can raise the price? It is the most inexpensive medicine I have ever taken. Guess after reading all your comments I will be trying Nature thyroid. Thank you for all the hyper-links. Or are they hypo-links? I can’t believe this….like everyone else i was really starting to get my life back and WHAM had gotten a new bottle of pills and noticed the difference with the pills right away and things have gone downhill ever since..wasn’t able to put 2+2 together until i came back to this sight yesterday (had been away from it awhile as i was feeling pretty good). Trying now to get changed over to something else and see if i can climb out of this funk. About a month ago I couldn’t get my armour refilled at CVS, so I called Walgreens…they filled it but the consistency was such that when I cut pill in 1/2 it disinegrated. Also, I’ve been feeling like I “hit the wall” way too often. Can’t hold my eyes open, NO energy etc. The worst thing is that when I got off synthroid and began armour, my blood pressure returned to normal and I was able to get off meds…well it’s back. Normally I take BP after the treadmill and it’s normal…yesterday it was 167/107!!!!!!! !Today I called cvs and they have a new supply. I am hopeful and will ask what brand it is. I will let you know in case anyone else has similar experiences. Has anyone definitely tried the new compound, but taking the tablets orally and not under the tongue? And have they definitely had problems? Everyone complaining seems to take their tablets under the tongue and I wonder whether (and hope) that the compound is perhaps aimed at improving digestion losses. but that perhaps one of the results of this is that it is no good unless you swallow the tablets now – ie it is not appropriate to take it under the tongue anymore? I’m probably paranoid but I can definitely imagine that a ban on Armour could be in Forest’s favour, as the artificial alternatives that they make are cheaper and more profitable, and easier to make, with unlikely shortage problems, so they are less hassle, ie they would probably love to drop Armour and concentrate on the alternative products? The quickest way to do this is to meddle and make Armour lose it’s grandfathered status! Wow I think you are right, can they legally change a med without informing people that seems wrong there is too many of us having issues with new formulation.The thyroid meds are so important I do’nt have one at all anymore i really hope i’m wrong i will know when i get labs soon. armour gave me hope I got in an emergency with synthroid my bp was elevated and heartrate got to 140 had to go to er but that was a year ago now i’m not sure if it was thyroid storm or synthroid allergy er doc said dicontinue synthroid. So a little research on cellulose, the supposed new replacement for the dextrose, comes up telling us that it is the same thing as undigestible fiber. Anyone who has researched thyroid meds has seen the statement to NOT take the pill with your fiber because it binds the thyroid hormone, making it unavailable to the body. You would think that someone manufacturing thyroid meds would know their own product. Or at least know their own clients enough to know that if this product works when other products dont work that they would be fools to mess with the formula, especially without running smaller trials on it. And especially without telling anyone they were changing it? Isnt this the same thing that got one of the synthetics in so much trouble several years back? Maybe there is a way to take over the production of Armour to restore it to it’s original formula? Anyway, isnt a different formula the same thing as an entirely different drug – they shouldnt even be allowed to claim that it is the same thing! I am also wondering if this is some ploy to further degrade the status that Armour has, and possibly cause it to lose it’s grandfathered status. Though there are possibly valid financial reasons the company needed to make changes, their tight lipped responses make one wonder what is really going on behind the scenes. We already know the drug industry to be highly political in the first place, so it really isnt a reach to suspect them of this. I was going to add a bit of T4 to my armour in the form of Levothroid, but since that is also made by Forest, I am inclined to boycott them completely after this. After consultations and numerous tests with more than 8 doctors and a 10 year battle, I have been on Armour since August 2008 and I’ve done really well on it. For the first time in 10 years I have my life back… I have been able to lose weight, I have periods again and have been migraine free. I have been continually baffled and frustrated by the amount of resistance to Armour by Doctors in the UK – having been told so many scare stories and pure lies. I’m pretty sure I haven’t been given the new formulation yet but I’m about to order more Armour and I’m really concerned and frightened about all of this… as I don’t think I can handle Armour failing me now and the thought of having to embark on another battle to be allowed to try something else doesn’t bear thinking about – I don’t even know which one to try or where to get it from? Being in the UK, it makes everything so much harder because of the resistance to natural products in the first place too. Can anyone advise me of reputable suppliers and recommend a product? Perhaps we should all complain to the FDA and hope that Forest sorts this mess out? Or could this be a ploy to ensure that Armour loses it’s grandfathered status? I’ve been slowly increasing my armour with the help of an excellent M.D.. Recently my fibro, lower back and memory all started to falter..after starting the new formulation ..I absolutely feel the new formulation has knocked me down….my daughter also has bottomed out on the new formulation….I’m very concerned since I’m prone to weak muscles and chest pains…also trying to get my 280- cholesterol down…been the route of other thyroid meds over the years and have just begun to stabilize on armour…..I’m very scared and upset. my 83 year old mother is also on Armour,,,she hasn’t started the new formulation yet….that’s another concern of mine…..my Hashimoto’s was diagnosed many years ago. I too have noticed the change in formula, because I take it sublingually – it’s very obvious if you take it that way, because it’s so chalky now. And I’ve been wondering why the heck I’m so exhausted lately? Duh! I’m so glad that this forum exists for us trying to navigate the “system”, and get back to wellness, without much support from the US healthcare system, and now it seems without Forest Pharm. That’s very disappointing indeed. If folks are having success at switching to one of the other products, or trying other tactics (like increasing dosage) and it’s working – please post here, so we can all learn from your experience. Thanks! My son warned me about the Armour changes as he started downhill quick when he got the “new” Armour. I experienced new hypo symptoms within a few days of getting the “new” Armour myself. I called Forest and they acted like it was news to them and then transferred me to safety department and then a pharmacist who was totally ignorant, (possibly on purpose). I then filed a complaint with the FDA through their MedWatch program. It says if they get a few complaints it may start an action to look at the drug. I dropped my 60 mg on my tile floor, and there was nothing left to pickup, just a bunch of tiny pieces. Really weird! for a three month supply. I am going to take it into the chemist today. I hadn’t heard of taking pills sublingually before, so I always swallowed mine up until now. I’ve been on 100-150mcg Levothyroxine (T4) + 20-40mcg Liothyronine (T3), I’ve been taking both for some time and it definitely made a huge difference taking T3 with T4…livier, thinking straight, not so tired. Just T4 alone is terrible. Anyway, now I will be trying the Armour for the first time. I will let you know what a ‘new to it’ person thinks of it. If I don’t respond well, I will switch after the three months to something else. I cut my half grain tablet and it literally turned to dust before my eyes! So, coincidentally, I have been working with an acupuncturist for NAET Allergy Elimination Therapy. I went to see her today and was telling her about the new Armour tabs and their lessened effectiveness. She had previously tested me for a reaction / allergy to the original Armour forumla, and it was great for me. She tested me today for the new fomula and it was not great. Next week, I’m going to get NAET to correct the incompatibility with the new forumula and I will let you know how it goes. Only problem is I will have to go off meds for 24 hours while it clears. Probably worth it. The funny thing is, according to Forest, the whole reason they changed anything was to accommodate the new machinery. I think they had no idea how this would impact us all. I think they are just as bummed as we are. Another concern is iodine. I tested allergic to it, which means the body can’t assimilate it as it needs to. In the acupuncture/NAET world, iodine allergy is related to Chronic Fatigue and Thyroid issues. I also read a book by Dr. Brownstein called “Iodine: Why you need it, Why you can’t live without it,” that claims the USRDA for iodine is woefully inadequate and that most of us need it in addition to dessicated thyroid hormone to fully correct thyroid conditions. I’m going to start taking his minimum suggestion for iodine right after my NAET for it. Food for thought. I’ve been taking 1.5 90mg Armour tabs per day and it’s been working great! BUT, I got a refill of my Armour script last Friday and it’s been all down hill from there. Yes, I noticed the new bad taste but thought – hey, who cares, it works! Well, the “it works” part is over. Within one day I was falling to sleep numerous times after lunch and needed to be in bed by 8pm (which is two hours earlier than I normally hit the hay.) My eyes were also feeling (and looking) really heavy. Even people were telling me I was looking a bit worn. To prove to myself I wasn’t nuts I switched to taking the near same amount of some older 60mg Armour tabs that I was saving for an emergency – bingo, I felt great and still do. Then I hit the web to see if others were making noise about this and found this site! I sure hope Forest Pharmaceuticals is reading this, and if they are it would behoove them to post a press release ASAP because they are losing customers in droves. I know I’m now looking for a new path. But I don’t have much of the 60s left so I’m at a loss as to what to do next – not to mention that my doc is not the most open-minded about me taking Armour in the first place. This will be a another battle, as it was to get him to write my initial script for Armour years back, to get him to write a script for another natural. Forest Pharmaceuticals – ARE YOU LISTENING – to the web that is! Having been a recent convert to Armour this past year with wonderful results and swearing never to go back to T4 alone, I am really frustrated at the changes in the pills. I thought I was losing my mind when I picked up my refill not having heard of the reformulated pills. I, too, used them sublingually as I have difficulty with absorption and take other supplements that could interfere further. I felt that the older formula (besides dissolving faster and tasting tolerable) absorbed more quickly into my system and I could practically feel it working. Not so much with the new pills and I feel the need to bump myself up a bit. Since my levels tend to fluctuate throughout the year, time will tell how this will work for me. I’d greatly appreciate hearing as many personal experiences as possible for those currently taking the ‘new’ Armour and those who have had experience with Naturethroid. Has anyone experienced issues with any of the Naturethroid ingredients? Is anyone else attempting somehow to take Naturethroid sublingually? And how about compounding — anyone have any luck with that similar to Armour’s effect? I spoke with Forest this morning after having increasing hypo symptoms with the new chalky batch of 1 grain tablets I got. I have had the dry eyes, sore joints, and sleep disturbance that I thought were symptoms of the past since I switched from synthroid. Forest carefully noted all my symptoms and asked me to speak with the safety department. I was told that they have had many inquiries and reports of the new Armour not working the same as before, even though the active ingredients are exactly the same. They said that in addition to slighty changing the ratio of dextrose to cellulose, they “streamlined the manufacturing process” of the pills. I was led to believe that the new manufacturing process is the reason for the less dextrose / more cellulose. The safety department person encouraged me to speak with my doctor about dosage, though Forest never formally announced that any changes to the product have occurred. This is why the pharmacist knew nothing when I called a couple of weeks ago. Anyone else have recurring hypo symptoms? Anyone switch to Naturethroid? Is your dose the same as on Armour? I think that bulletin pretty much says it all. I went to pick up my prescription today (1 grain tablets; I take 5 per day) and it was not there. I have 3 days of “loaner” pills. However, this sounds like it will be going on for some time. I have been using a generic dessicated thyroid product from Thailand, manufactured by “Greater Pharma” and called “Thiroyd” (apparent dyslexia is intentional). I have not been able to obtain the ingredient list, but it is presented as USP grade dessicated thyroid. My source is only offering a 1-grain (60 mg) tablet, in lots of 120, 500, and 1000 tabs, but other doses may be available. I resorted to taking this action “independently” when my doctor refused to even listen to the facts about USP dessicated porcine thyroid products, and between being able to order this via Internet and having access to one of those “any lab test” franchises, I’m feeling better and healthier at 47 than I have been at any other time of my life. I can’t thank you folks enough for sharing all this information, because it has probably added 20 or more enjoyable years to my life. Macey, if you are completely stuck for supplies try and get in youch with me direct, I am in the UK. I am on the Yahoo group. After defending Forest Pharmacueticals and spending lots of time locating whatever strength was available until they “revamped” their facilities, I am more than irritated about all of this. My hypo symptoms just sort of crept up on me while my husband was being treated for throat cancer. I thought maybe my adrenals were exhausted from living at the medical center and the stress. I started freezing even when the thermometer was on 77. (totally opposite from my norm) At the same time I would be sweaty. Then my hair became uncooperative and limp. The last straw was my emotional state went downhill for no apparant reason. I am always happy and smiling. I didn’t even think about it being the thyroid meds. I prayed about it and low and behold God sent a customer into the health food store where I work and she began telling me about the scuttlebut from her Yahoo group. Voila! It all came together and finally made sense. I was so happy to find out what was going on and I wasn’t crazy that my mood lifted immediately. I called my Nurse Practitioner and explained it to her and she is arranging for me to try the Westhroid!!! Thank you for all you do, Janie. You have made my day and my life!!!! I too have noticed the horrible new formulation of Armour. I hate it. I am glad to know that I can switch to Westhroid or Nature-throid and keep being treated appropriately without gagging. I have also been having problems with Armour. I had a batch of 2 grains, and one grain. The 2 grain tablets are the new formula – all my symptoms started to return. I called my local pharmacy, they said they had not been informed of any changes by Forest. I tried the single grains – and they were the old formula -hoorah!! I now have about 10 days worth left of meds to locate nature-throid in UK or Europe before these run out. How are you coping on Nature-throid? Is it the same price as Armour? Curious to know if anyone has noticed a difference in the new Armour – in terms of how you feel. I could be having a hypo/hyper swing, or experiencing a placebo effect, but I would swear after a mere 3 days of taking the new formulation (3.5 grains daily), the dose seems super strong! Could it be that Forest and the others are tweaking with the potency of the product? Curious to know if anyone else has experienced this feeling. I failed hard on the new Armour. It is true about the “wad” sticking in our mouths. I also was treated bad calling Forest and trying to get answers. Yesterday was aweful with hypo symptoms. I called my Intergrative med doctor and picked up Naturethroid. It can be taken sublingually, only more gritty and no sweetness. The tablets are smaller. A half grain of Armour tablet is the same size as a one grain of Naturethroid. They are going to stop making Westhroid soon. Actually two months ago suddenly the pharmacy couldn’t get it. So I called customer service at the lab that makes it. She said they were stopping manufacturing for a “little while” then would resume making Westhroid a little while longer then would cease manufacturing it altogether eventually and tell all patients to switch to Naturethroid. Technically both are identical as both have the same ID# on the pill. However I hate having Naturethroid prescribed because of the name. I’ve gone to several specialists for non-thyroid related issues only to have them demand to take over my thyroid care and demand a stupid TSH test because they think my GP is incompetent for prescribing what they assume to be a herbal product not a prescription product just because Nature is part of the name. I am looking into natural thyroid after reading suzanne somers which indirectly led me to this for my father. He’s 80 has recurring lung cancer but so many symptoms related to thyroid exaustion it’s unbelievable. I’ve been reading your web site all over and is so informative. I’m totally against pharmas and am trying to help him, long story but anyway i found some supplements today in health food store plus pregnelonone for both parents. I know I’m playing doctor with them so I’m going slow but I think this is the missing link, depression, irritability, tired, cold, missing eyebrow hair and more. I can’t wait to see if this very tricky pills will work. I’ll have to look up on this armour now. I’m glad for Janie making this site but looks like big pharma is up to something with the story she just wrote last week. My father had plenty of chest xrays and his voice is raspy now too. Does anybody think natural stuff from the vitamin store will work or improve? I started 30 mg of Armour in July of 2008, which my primary care physician prescribed. I started to feel so much better, but I was still a bit tired. Right before hurricane Ike hit, I went to see an Endochrinologist at UTMB, and he prescribed Synthroid… the result was that I fell out, completely. I went back to being so tired, so, in November, I had gone back to my primary care physician who had no problem checking over my lab work as well as listening to my continuous issues. She prescribed 90 mg, and I’ve never felt better. I just had lab work done about 3 weeks ago, and I’m barely in range with my TSH levels. I guess that it doesn’t matter because I feel great. I’ve been extremely tired lately, however, but I believe that it’s because I haven’t been eating as much as I used to. I guess that I can wait a few months before thinking about whether the Armour isn’t working. Very interesting. I never had any success with the armour and my labs proved it. I had even switched to compounded armour and got much WORSE. It was then that I decided that westhroid was for me. Even though I still have some ground to cover I have gone from having a tsh of greater than 150 and barely existent frees to all being in the happy zone. I also take it sublingually, however it does not feel like when I did take armour that way. This site has been such a great asset in my life. Thanks for keeping us informed. Mary – that smell you are smelling most likely means that you still have the old Armour formulation. In my experience, the fact that you have only been on 30 mg. for 6 months is interesting…I began on Armour 5 months ago and am working my way up — on 180 mg at the moment. Of course, my symptoms are still not gone, and I will need to keep going up in dosage until they are. This being said, everyone is different, and we all take Armour for very different core reasons. Perhaps your fatigue is thyroid related? 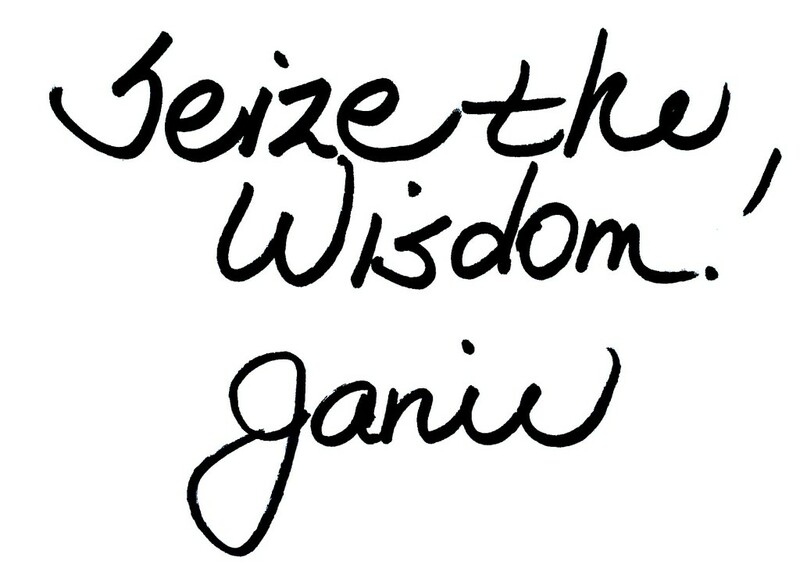 That little gland is SUPER powerful and in charge of a lot of bodily goings-ons:) Good luck! Thanks for the information! I went to pick-up a refill of Armour this evening and just tried a 1 grain tablet sublingually, as always. All I can say is, YUCK! Thank goodness I’d read your post, otherwise I would have been worried due to the HUGE difference in taste and texture. The old Armour was slightly sweet and not at all unpleasant to allow to dissolve in my mouth. This new formula is like having a wad of mushy Kleenex under my tongue. Needless to say, I am thinking of switching to Naturethroid or Westhroid. Can anyone answer this: can the new Armour still be taken sublingually? If not, can either of the RLC labs dessicated thyroid be taken this way? The STM website has been invaluable in my quest for feeling good and living a healthy life, despite having Hashimoto’s Thyroiditis. It has truly been (and still is) a lifesaver!! Wow! After all that time, promise ring and all, and all the positive energy, recommendations, good tidings and more to their company…they had the nerve to do that when you told them who you were? You and all of us SUPPORT them and their product?????? I don’t get it. Call back and use an alias…Penny Inmyshoe…. Please let us know if you ever do hear from them. Something is going on in the world and it’s not good. Some sites have a shortage on Armour. Like all of a sudden everyone is sold out. But it’s not just Armour, it’s been happening with alot of meds lately. I am very worried. We need this natural med. Do you know if the 1 grain has been ‘reformulated’ as well? I have been doing better since switching from Westhroid to Armour (or maybe its just mental) a couple of months ago. I take the 1 grain size (3 per day split). Since the 1 grain was never ‘unavailable’, perhaps the 1 grain was not reformulated? I would love your input, thanks so much. (BTW I saw this post on Facebook as I am one of your FB members). Are you able to tell us what medication you are switching to? I just started on Armour about 8 weeks ago, largely in part to this website and your book. Are there other thyroid meds that are better? My doctor is very supportive with natural thyroid meds first so I know it would be no problem to switch. Problem is, Westhroid (http://www.wes-throid.com/inactive.asp) and Naturethroid (http://www.nature-throid.com/inactive.asp) contain lactose (Armour Thyroid doesn’t, at least according to http://www.armourthyroid.com/hcp_treatment.aspx#Ingredients), which many of us have problems with. On the other hand side, according to the page cited above, Armour Thyroid contains titanium dioxide as a whitening agent, which some people also have problems with (which Westhroid and Naturethroid appear not to contain). yuck! What a run-around Janie, sorry you had that experience. Did you ever hear from them? What are you going to be taking and recommending to patients now? Are you going to publish a revised edition to STTM book? Keep us posted and thanks so much for all you do!